These last few weeks I've been going back to places I've already discovered, partly just because I enjoyed them the first time, partly because I want to see how they are in different seasons. And my conclusion? Cyprus is even more beautiful in the winter! I love that I can go to the beach with my dog and there is nobody there to yell at us. 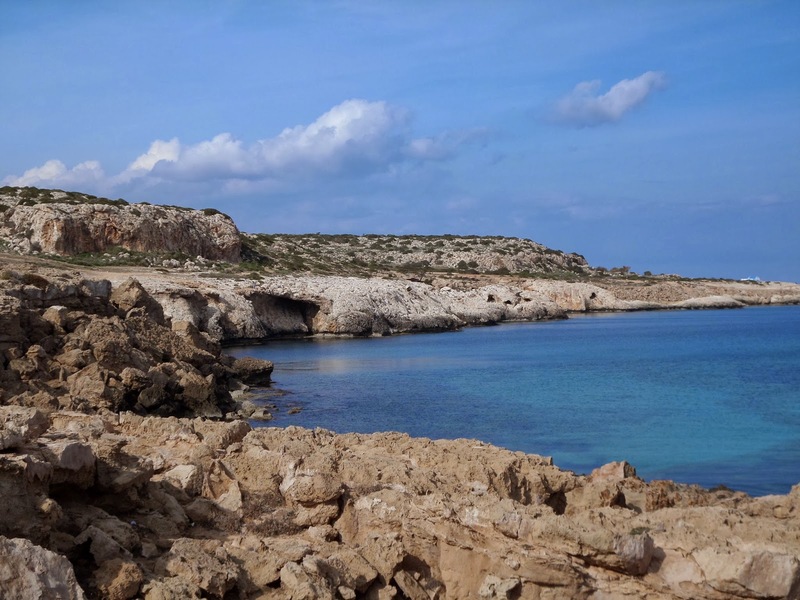 I love the peace and quiet of the coast, even in places like Ayia Napa, without hordes of tourists. I love that I don't have to spend the middle part of the day hiding out from the sun in an air conditioned room. 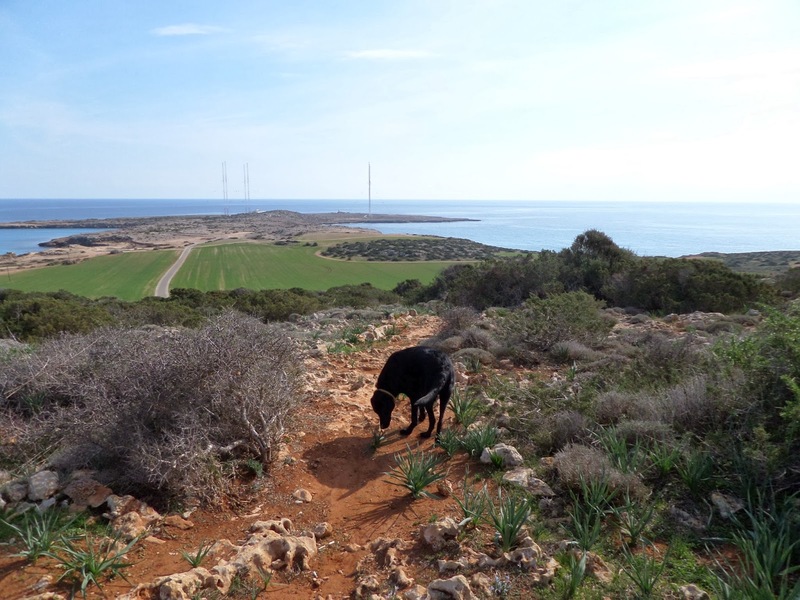 So far, winter in Cyprus means freedom to explore all the places that are out of bounds, or difficult during the summer, with great weather to enjoy them. 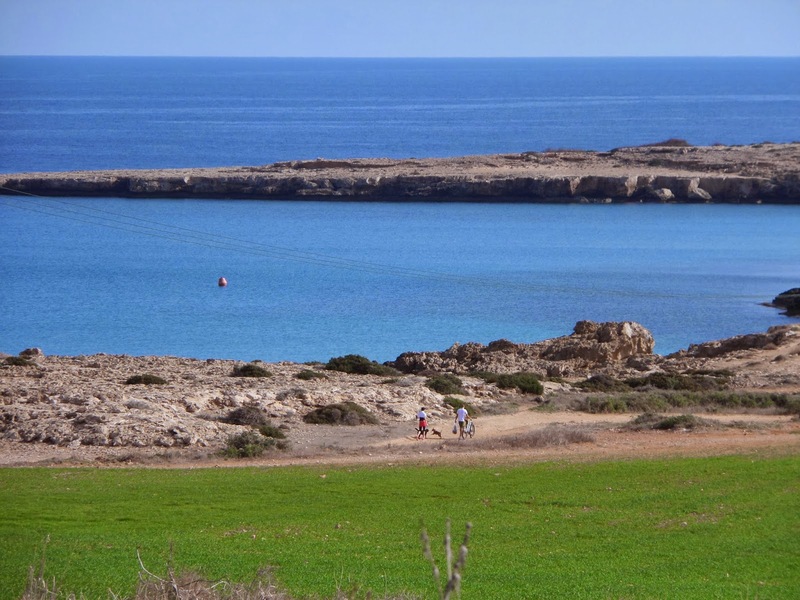 I recently went back to the coastal area between the two tourist resorts of Ayia Napa and Protaras - Cape Gkreko. 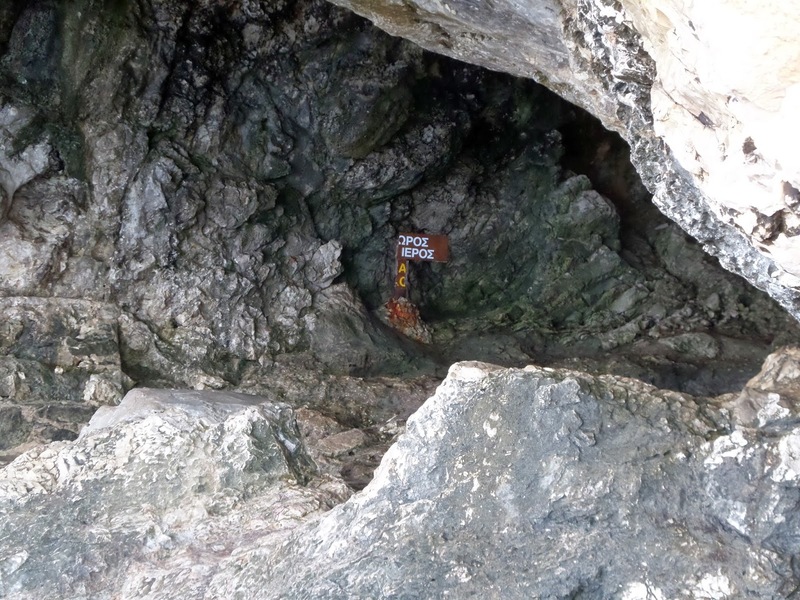 This area was great in summer too - with few people on the paths, and some rocky areas to climb down to the sea to cool off. However, every time I had been here in the summer season, the tranquility was shattered by day tripper boats which take out groups of tourists to party on board, and blast music and games over waters with megaphones (people having fun! Bah humbug!) There is also absolutely no shade on this entire peninsular, which we learned the hard way one very hot day last June. In the summer months, I would recommend this as a good place for an early evening walk, and perhaps a swim. In the winter, it's better to make the most of the warmer midday sun, and enjoy this area from about 11-15.00. This time round, Sage and I started our walk from a point near the 'entrance' to the cape, where there are signs for the Aphrodite Trail. The trail was a bit confusing, I must admit. 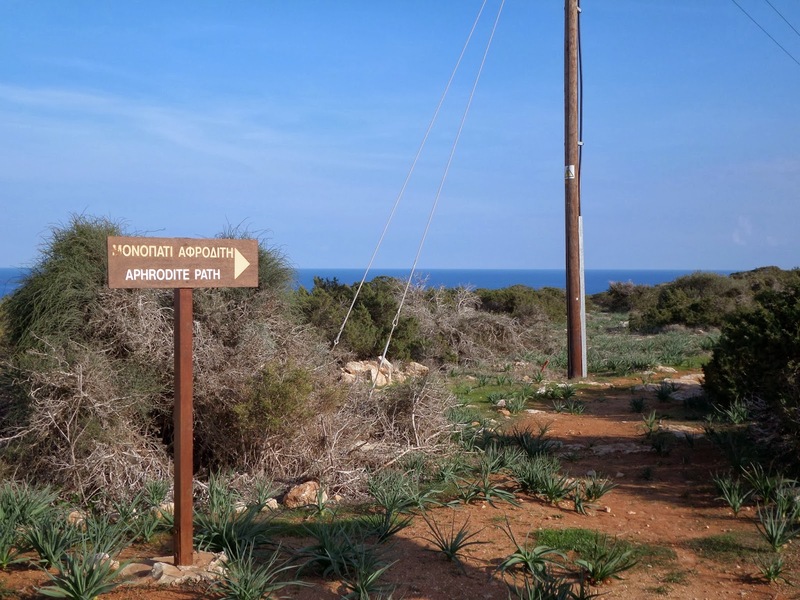 The information board says that this 2km trail is part of the Aphrodite Cultural Route (also found at Paphos), although nothing remains of any religious site here, and no further information is available. 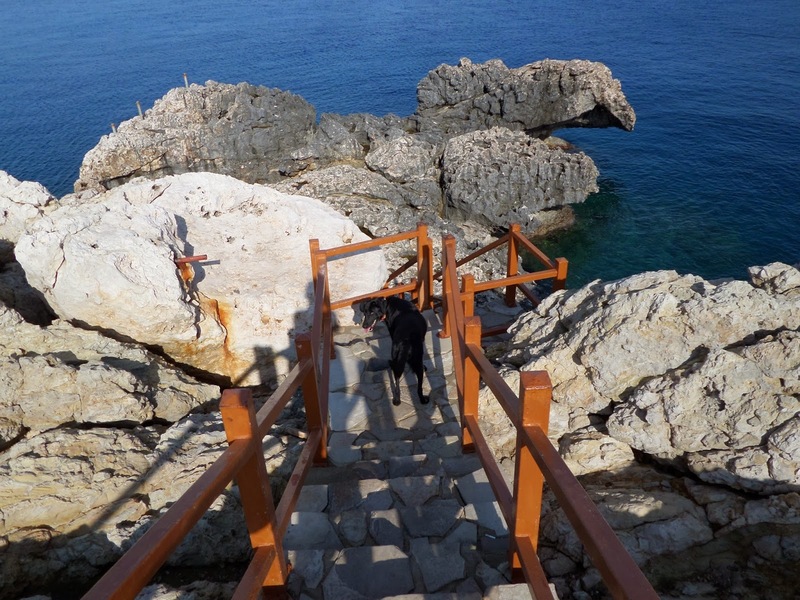 After what seemed like much less than 2km I reached a point where signs directed me onto different paths altogether, either towards the sea caves or to the Agii Anargyri church, and I realised I had somehow finished/lost the Aphrodite Trail. Out on the promontory, I couldn't believe how green everything was. 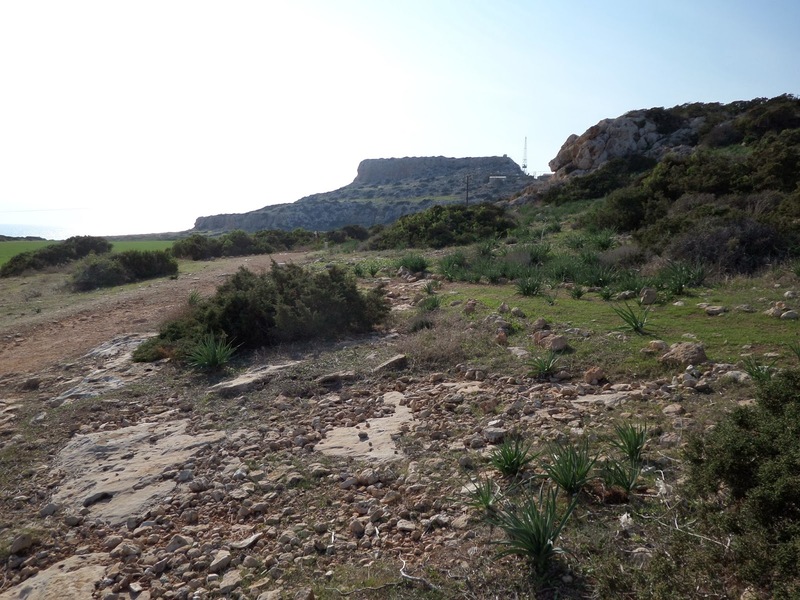 I am used to a white, arid, dusty Cyprus (which is also beautiful in its own way), but to see a field of grass, and new green plants growing around the coast was really special. The only other people I saw all day were some cyclists out with their dogs around this promontory, and some fishermen around by the church. Be a bit careful of the ferrel cats that have made a home around the church - I counted at least 6 of them and they looked they could see off a threat to their territory if they wanted to. The water tap at the church wasn't working when I last visited - carry water for your dog with you just in case. 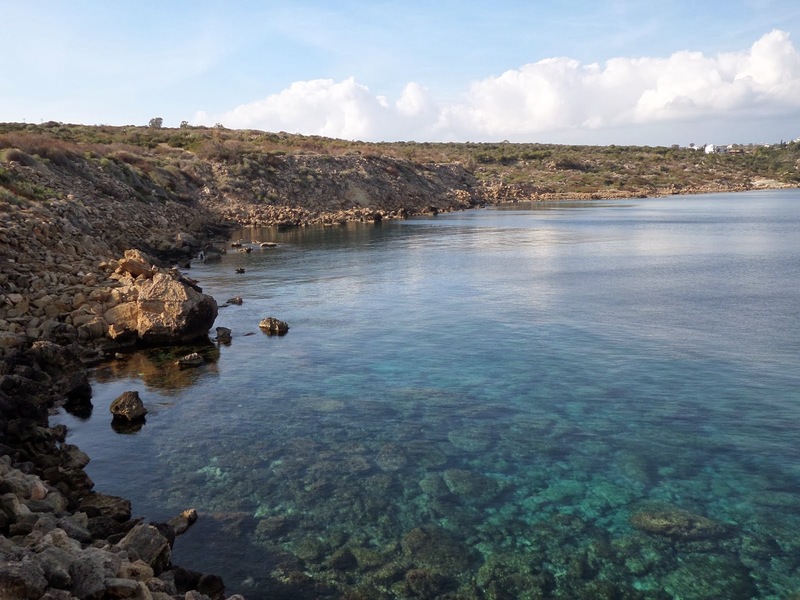 Winter in Cyprus is truly warmer than elsewhere in Europe. The last time my family was there the weather was marvelous! Don’t leave your sunscreen at home, I promise you that you’re gonna need it ;) We even went diving when Christmas decorations already were on the streets. Ist't it awesome?